Green Thoughts Consulting is pleased to announce its recent hire of Chassidy Eralie, who will join the Green Thoughts team as Graphic Design Lead and Web Designer. Chattanooga, TN, Mar 27, 2019 -- Green Thoughts Consulting is pleased to announce its recent hire of Chassidy Eralie, who will join the Green Thoughts team as Graphic Design Lead and Web Designer. Within her role she will begin working on advertising collaterals, logos, and social media pieces for the company as well as helping out with Web Design over flow. Eralie comes to GTC with over 10 years’ experience in Graphic Design and another 4 years with website design. She has worked in the medical field and has run her own design company for the past 3 years in the Chattanooga TN area. Her background and self-starter attitude as well as her strong desire to grow will make an immediate impact for GTC. 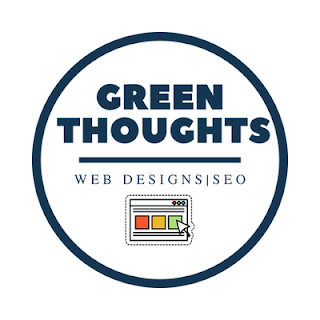 Green Thoughts Consulting is accepting new proposals for work at this time. Custom Web Designs that are affordable, SEO Friendly, and built to convert. Websites that just work! For more information, please contact Jeff Green at 888-263-6626, email jeff@greenthoughtsconsulting.com or visit the Green Thoughts Website at www.greenthoughtsconsulting.com.